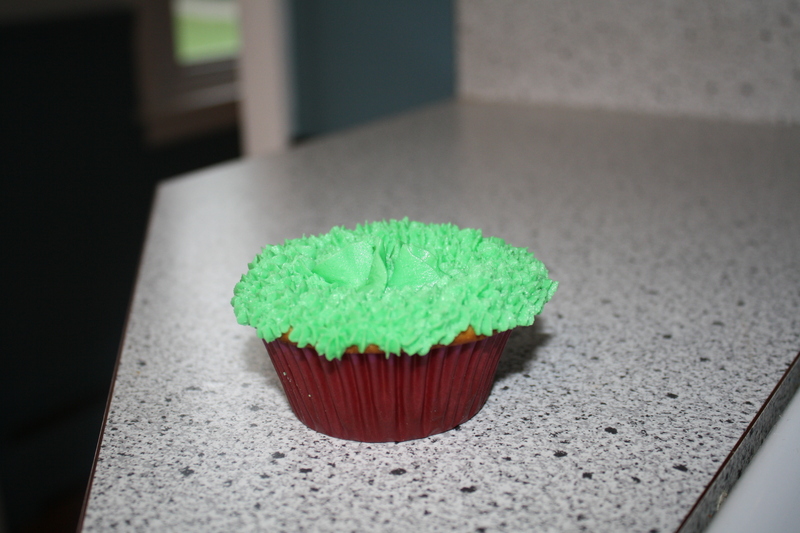 One day Zack came home from work with an idea…he decided we should make cupcakes with Mountain Dew in them. I’ll admit that I was pretty apprehensive, because I don’t drink soda and honestly can’t even remember what Mountain Dew tastes like, but I still agreed. We’ve had the recipe for probably a month, but just got around to making them at the beginning of the week. They actually turned out pretty well and were a big hit with his employees! Preheat oven to 325 degrees. Line 2 12-cup muffin tins with cupcake wrappers. In a large mixing bowl, combine cake mix and pudding mix. Add soda, oil and eggs. Beat at medium speed with an electric mixer until smooth. Pour batter into prepared pan, and bake approximately 18 minutes, or until a toothpick inserted in the center comes out clean. Let cool in pan for 10 minutes. Remove from pan and let cool completely on wire rack. The recipe called for a glaze-type icing, but I decided to make a lemon-buttercream frosting. In a large bowl, cream together the shortening, lemon flavoring and water. Next, add meringue powder and mix with an electric mixer. Then, SLOWLY add in confectioner’s sugar, a little at a time (if you add too much at a time, your hand mixer will blow up!). After all combined, beat about a minute longer until nice and creamy. 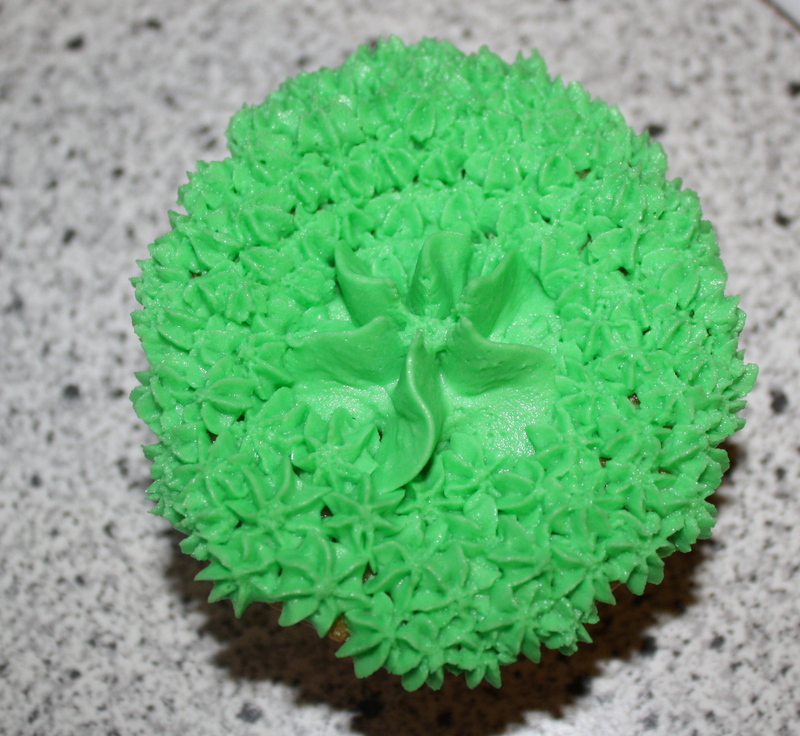 Then, use GEL food coloring to color your icing green. If you use liquid food coloring, it will mess up the icing consistency. My husband and I were just talking the other day about how much Mountain Dew we both drank in the past. I used to love it. I haven’t had it in years and these cupcakes sound amazing!!!! I haven’t had Mountain Dew in years either, I didn’t even try these cupcakes! My boyfriend took them to work. Great idea for a cupcake! Sounds yummy! I can relate, I was VERY addicted to Diet Mountain Dew for years…I had to go cold turkey! Hehe how cute! I personally am not a fan of mountain dew, but what a creative idea! Very cute idea! I bet the lemon base helps round out the mountain dew flavor. 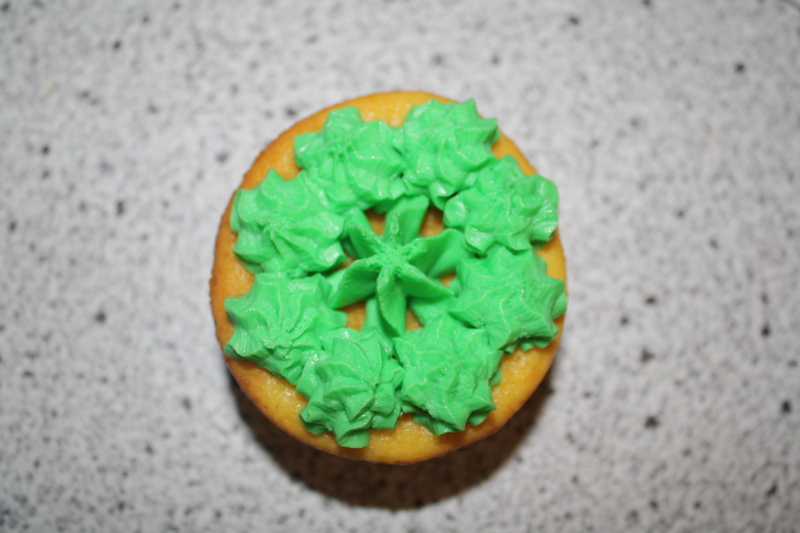 Cute green icing too! Thank you. I think the lemon accented it nicely. What a great idea! My husband would probably love these! You should make him some 😉 Thank you!